With carnival festivities over, the hilltop village of Nadur, Gozo, is out of the public eye for another year. But, says Elaine Gatt, strip off Nadur’s carnival mask and you’ll find there is far more to this village than its once-a-year street party. A slow walk along Nadur’s now quiet streets reveals some of the locality’s true features and hidden gems, as well as a pace of life that’s a far cry from carnival’s mayhem. The Gozitan village of Nadur is synonymous with vibrant carnival celebrations. Having been awarded the title of ‘World Carnival City’ in 2005, Nadur far exceeded its expectations and gained fame beyond its local badge of honour as the last bastion of ‘spontaneous carnival’; a far more free-flowing, raucous affair than its organised counterparts elsewhere on the Islands. Yet, for all this fame, Nadur is definitely not just about carnival. Strolling along the quiet, quaint streets of Nadur on a bright, sunny winter morning, I find myself on one of the principle roads of the village which is a showcase of traditional vernacular architecture of the Maltese Islands. It is no wonder that Triq it-Tigrija offers an excellent backdrop for the annual live Christmas Crib, another special event in Nadur’s calendar. As I continue my ramble around Nadur’s roads, I am immediately drawn to the intricate and varied stone work of the facades. Despite being damp from the previous day’s rainfall, the dark, yellowish limestone lends itself to a display of meticulously carved designs and adornments. The elaborate designs are clearly the result of the skilled stone mason’s hard work, patience and craftsmanship. From the intricate stone work, my eye catches equally accomplished and detailed craftsmanship in action, right before me in the street. I see deft fingers manoeuvering a multitude of bobbins hanging down from a cylindrical lace pillow. An artistic creation is under way as each bobbin dances to the rhythm of the nimble hands moving them. A grey-haired, middle-aged Gozitan lady wrapped up in winter clothes is sitting on a wooden-framed wicker chair patiently plaiting a new piece of lace. I am intrigued and instantly walk closer to watch her work intently. “Bongu”, she says smiling. She gives her name as Giovanna, but barely glances up as she’s deeply immersed in her work. It is not long though before we engage in what proves to be an interesting conversation about lace making. Giovanna explains that she has been making lace items for quite a number of years. Unfortunately, this intricate art work, handed down to us by the Knights, requires time and patience – both of which have become priceless today. Our fast-moving lifestyles do not allow us enough time to sit down and indulge in such hobbies. The neighbour’s door opens quietly and a young girl peeps out. She gives Giovanna a sheepish smile and promptly comes out with her own lace pillow, which is smaller in size and sits herself down on a wooden chair beside Giovanna. She too has her own piece of lace work which she has just started. Giovanna nods and proudly adds that it was through the teaching initiative of a number of lace makers that the trade started regaining popularity. Another middle-aged woman came out to speak to Giovanna. I learn that she is Giovanna’s sister. She smiles at me and immediately asks me in to see a very important tool used by the lace maker. I am overwhelmed by the hospitality, and as I walk in, I am shown the ‘raddiena’ which is very similar to a wooden spinning wheel. The ’raddiena’ is used to thread bobbins before they are used on the lace pillow. “You see”, she says gently, “there is a lot of preparation beforehand”. Naturally, all bobbins to be used for a particular pattern need to be ready. I am mesmerised by the amount of work required to create a lace doily; such a small but complicated example of the lace-maker’s craft. As I make my way out of the house, the local Parish Church bells chime noon and I realise that I should be on my way to the famous bakery for a scrumptious traditional ftira, forgetting all about the traditional open air market that I had originally intended to visit. The traditional family bakery can be found right in Nadur village centre and offers a delicious combination of the homemade ftira with various toppings. Walking past the panoramic belvedere on the high plateau as I make my way towards Kenuna tower, I am drawn in by the view – lush green fields sloping gently downwards carpeting vast areas of limestone before they reach the clear blue Mediterranean sea. 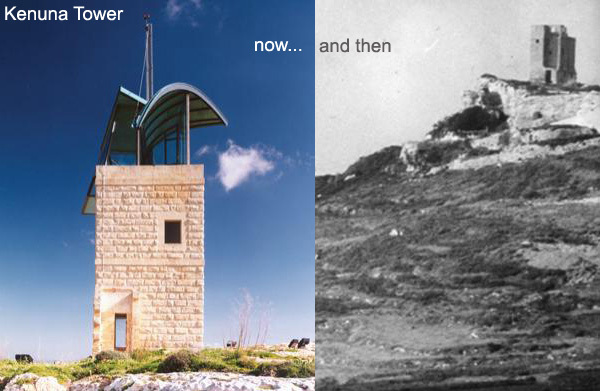 Kenuna Tower, sitting proudly on a promontory, is a stark reminder of our colonial past and of a time when semaphore was a means of communication. Today, Kenuna Tower houses a beacon to aid navigation at sea. Fortunately, the watchman on duty allowed me to go up to the covered roof for a better view. Looking down, the botanical garden below me seems minute and as I look further out to Comino and the Northern coast of Malta. As the sun sets, I mull over my leisurely and fascinating day in Nadur and of all that it can offer beyond its well-known carnival celebrations. 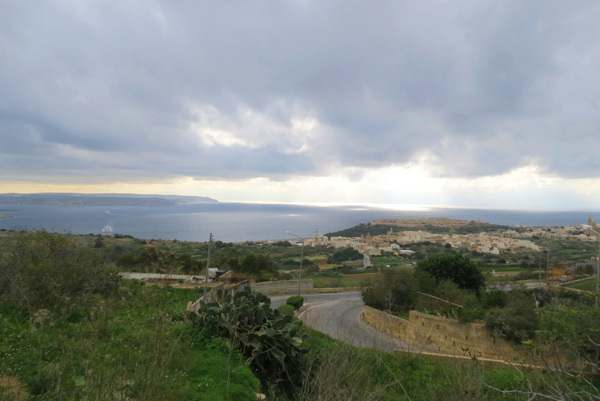 Indeed, a visit to Nadur can prove to be a very pleasurable way to pass time, celebrating a way of life that so many of us have lost and that some of us may secretly envy. Elaine Gatt is an MA student of English and the Media at the University of Malta. She researched and wrote this article for an assignment on blogging. Photos: Elaine Gatt; Photo Kenuna Tower: courtesy Architecture Project & David Pisani.